Mascot Madness continues! We’re halfway through the tournament and this is no time to hold back. More than bragging rights are on the line: who will make our Final Four? It’s tough to win three in a row when you’re a jackrabbit whose first name is as uncreative as Jack. It’s even harder when 65% of the voting population picked a different option for you. According to government data, wheat is the main food grain grown in the United States. There are five major classes of US wheat and United States is the world’s leading wheat exporter. As the unofficial cereal of champions, wheaties literally have the word wheat in their name. Here are a few facts about sheep: they have no teeth on the top of the mouth. They have four compartment stomachs and their wool is flame retardant. Where did we learn this? On CAM’s website because he’s dedicated to livestock education. Oh, and those stomachs help them digest wheat. France may be our oldest ally, but the student chosen to be the Hawk is not only given a scholarship, but is considered a full member of the basketball team. Even mascots can’t escape the Red River Rivalry. According to an article published in 2012, not all UT students are aware that Bevo and Hook ‘Em are two different things. 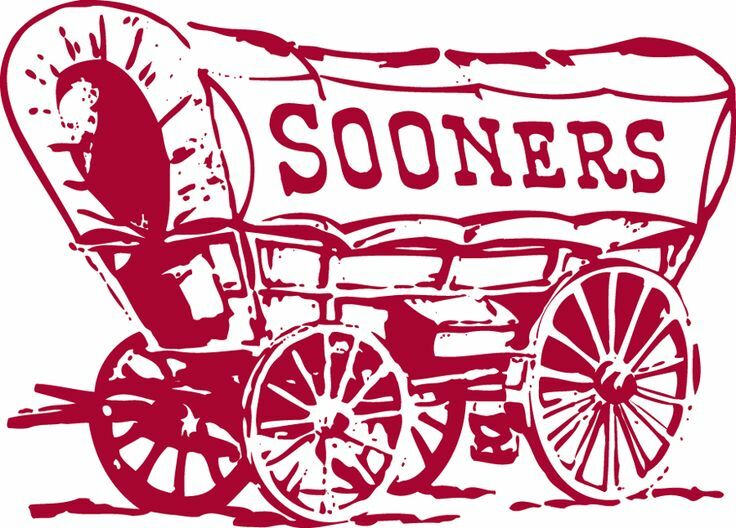 Plus, Oklahoma has mentioned that Boomer and Sooner were created specifically to attend charity events and to visit children’s hospitals. That’s tough to beat. The Hawk is decorated with numerous accolades and awards. 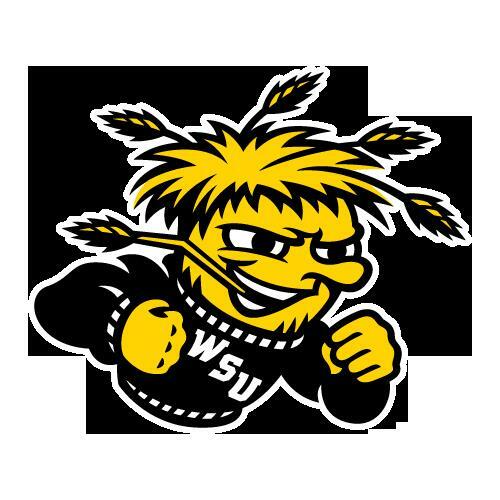 He’s been regularly recognized as one of the nation’s top mascots and one of the best traditions in college basketball. 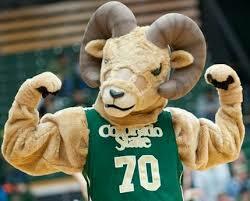 Sports Illustrated called him the Mascot of the Century. 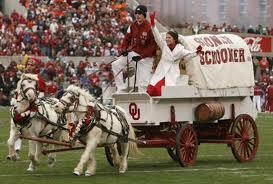 But back in the 20s, Oklahoma found a dog and adopted him as their own. When he died of old age on April 30, 1928, the entire University shut down for his funeral and procession two days later. He was buried under the stadium. 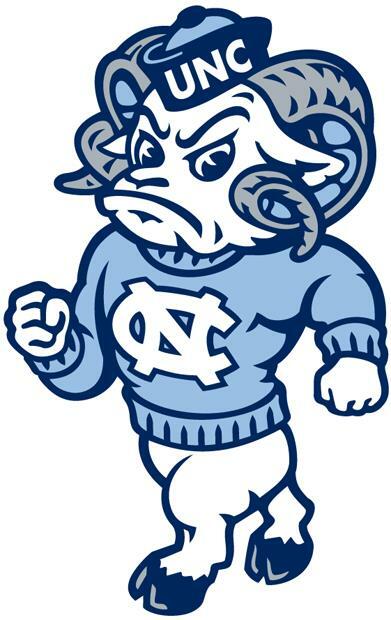 Legend has it that in the Ram’s first game appearance, UNC scored the game’s winning (and only) points after Bunn Hackney rubbed Rameses’ head. Impressive and immediate results like that are needed this far into the tournament. Let’s not forget: The Xavier Musketeer is not alone. He has a sidekick that’s blue and shaped like a blob. They call him the Blue Blob. 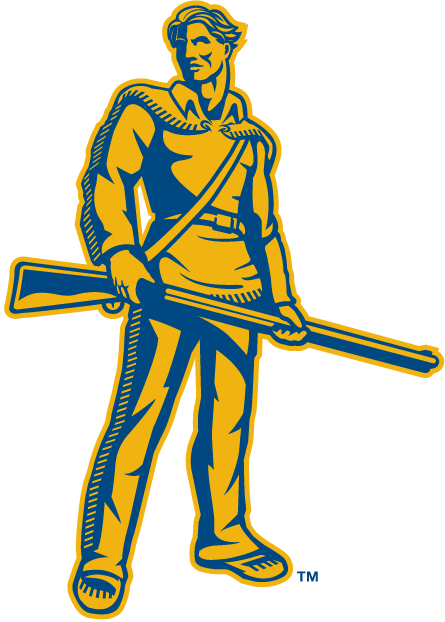 But the solitary nature of the Mountaineer is made more impressive by the fact that, unlike many other mascots, only one man is selected to play the role. And he has a rifle. Can you tell me who portrays the costumed version of Ramses? Probably not. 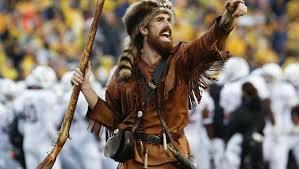 Can you tell me who portrays the Mountaineer? Michael Garcia. He’s a West Virginia native too. 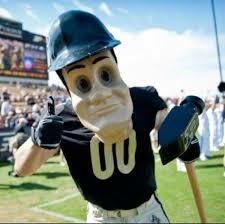 Just like Virginia, Purdue has had a few assistants to go along with the main mascot. Purdue Pete graduated from bookstore advertising icon to full bodied pep-star in 1956 and nothing can keep him off the field. Not even when his head falls off in Iowa. Sparty has held Olympic champion Kerri Strug. Twice. He was in a commercial where he rode a rocket. 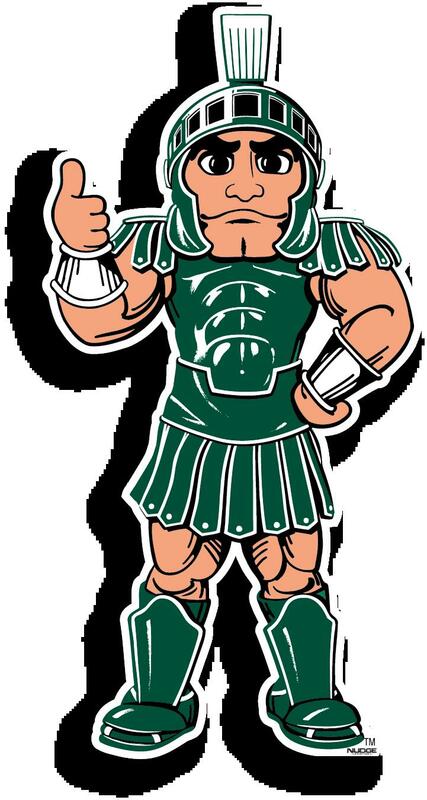 People who act as Sparty have lost 3 to 5 pounds while wearing the suit. 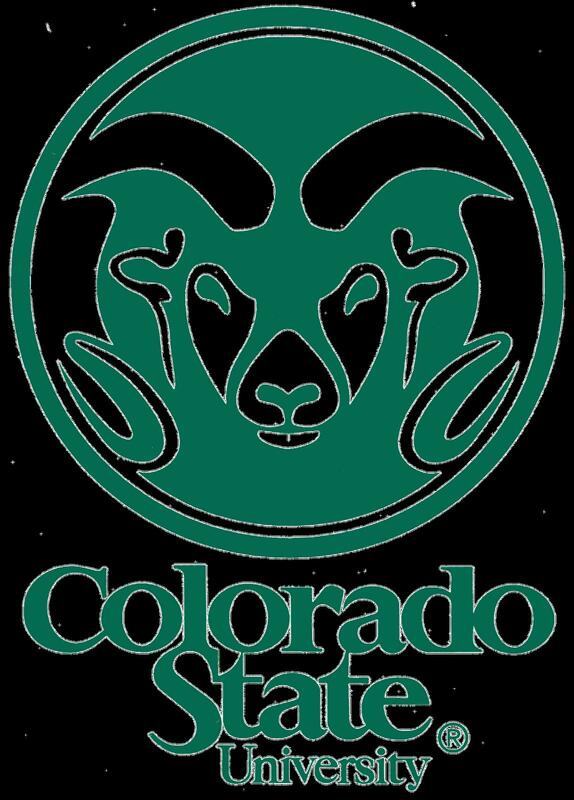 Sparty’s website is as impressive as they come, but he’s only been around since 1989. Not only does the Boilermaker Special have 49 years of history on Sparty, but the current incarnation (VII for those keeping track) is built from pieces taken from its retired and worn out predecessors. Tradition literally lives on at Purdue.